Similar to our previous Kickstarter blog post, this blog will focus on entrepreneurship and the importance of teamwork. 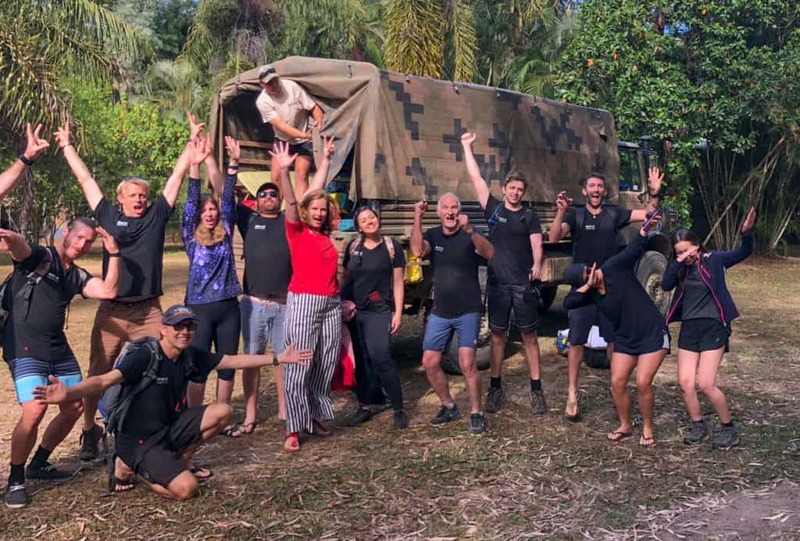 It is based on my expedition in Far North Queensland building startup connections in September, 2018. Expedition leader, Ben Southall is an amazing guy who I had the absolute pleasure spending a week with on an adventure I’ll never forget! Ben’s a presenter, digital journalist and Adventurepreneur. You may remember in 2009 the Best Job in the World competition to be the ‘Caretaker of the Islands of the Great Barrier Reef’ in Australia…well Ben beat 35,000 others to win that job. 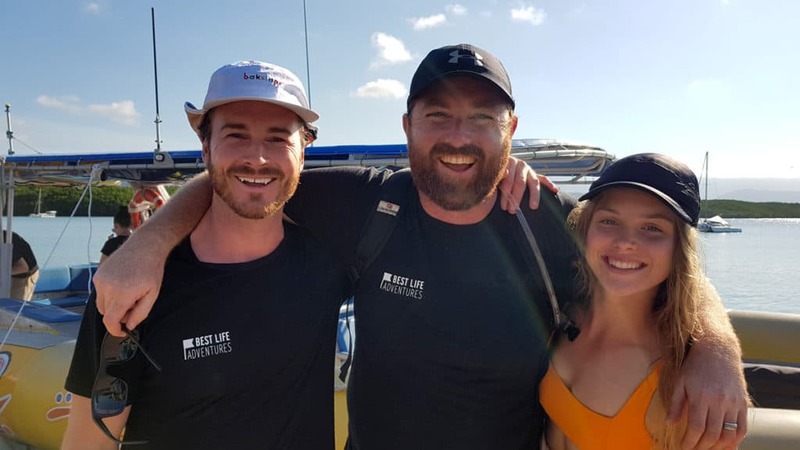 In 2017, Ben joined forces with Advance Queensland to create the initiative ‘Venturer Mission’. It’s aimed at helping startups and entrepreneurs increase their professional networks and build the personal qualities thought to be essential for success. A month after we returned to the world, I caught up with Ben to ask him a few questions and have him reflect on his own experience post-Mission IV. Our group of go-getters who I now call awesome friends. a) You’ve run a few of these missions now, what do you think it is about getting people out of their comfort zones which contributes to their success as people and entrepreneurs? The Venturer Programs are a great way to connect entrepreneurs who don’t usually have the time to network in such a deep way with adventurous like-minded individuals from the startup community. Throwing them into tough physical challenges increases their personal belief in what can be achieved with continued effort, and the resulting partnerships that form through these shared experiences become extremely unique, long lasting and valuable.These relationships are future door openers, business resources and ultimately a confidential contact that each Venturer can utilise. Having been through such raw experiences together there’s very little sacred ground to worry about! b) What are the activities & experiences designed to do? The Venturer Program offers a number of different challenges throughout the week in the wilderness that allows people to push themselves physically in a sport or activity they may not be accustomed to, mentally in workshops that allow them to open their mind and exercise problems to a group of new friends who offer a clean mind and insightful ear, and culturally to help understand another side of the human race they may not previously have been exposed to. There’s a chance for everyone to excel and learn. On the Far North Qld expedition, what did you gain from the experience? How did it challenge you? The Far North Queensland mission was an entirely new challenge for me. 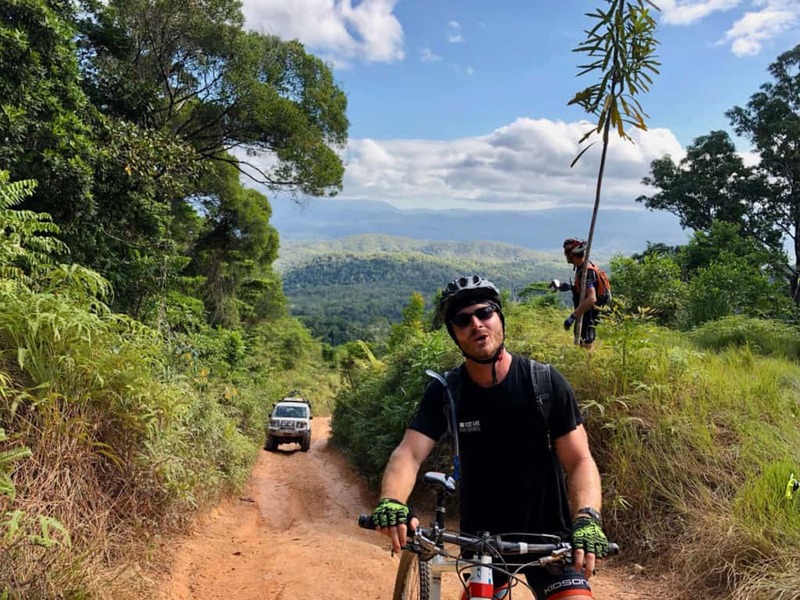 Previously I’d taken the expeditions to areas of Australasia with established tourism industries which made it easy to cherry pick adventures straight off the shelf. Visiting somewhere like Wujal Wujal meant I had to design the program from the ground up, rely heavily on communities not used to dealing with expeditions such as ours and mold and manoeuvre the itinerary by the hour! What’s a stand out moment for you from this expedition and why? From an adventure perspective, getting our group of Venturers to the summit of ‘Big Red’ was the most incredible part of the expedition. 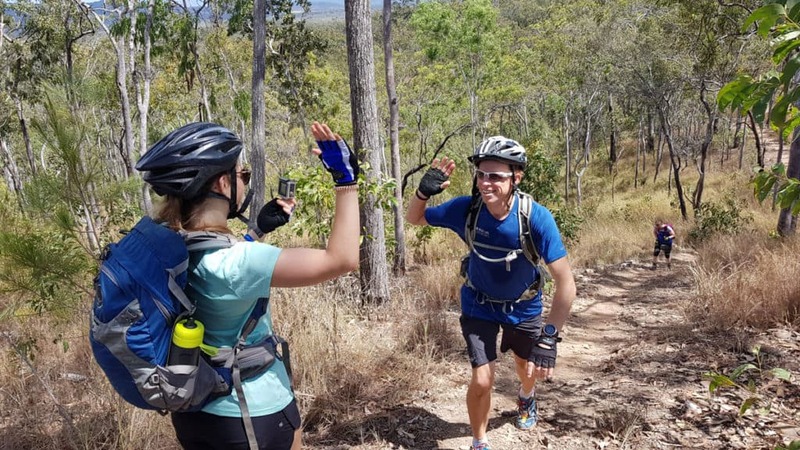 Having never been there before, and having only heard gargantuan stories about how difficult a physical challenge it would be attempting to ride or even walk up one of Australia’s toughest 4WD trails meant the feelings of anticipation we’re at boiling point! On a hot, sweaty morning, we’d already burnt our legs out attempting to ride up some of the ‘foothills’ enroute to Big Red. The moment we spotted the length and incline of the mountain through the rainforest canopy I realised this was going to be the make or break point of the adventure. After hours of huffing, puffing, cursing and crying we all stood on top of Big Red, having taken on one of the toughest challenges of our lives together powered on my each other’s motivations and friendship. Team work getting one another to the top of ‘Big Red’. Raph knowing why they don’t call it ‘Little Red’…and loving every moment of it! Is there anything else you’d like to share about the work you do on the Venturer programs? I love working with people who are big picture thinkers, the movers and shakers of this world, people who love a challenge. There’s something massively rewarding about seeing people take on something they didn’t think possible and watching them grow in confidence and stature throughout the week of the program. The Society Of Extraordinary Venturers is an exclusive group I’ve developed for those who’ve been through the Venturer Program and our bi monthly meet-ups gives people a chance to reconnect and build new relationships with other Venturers. Our membership of 80 people continues to grow and offer value to entrepreneurs across the Queensland startup community. Ben is an amazing operator. If I can make one suggestion, it is to jump on his Facebook page (Best Life Adventures) contact him and find out what adventures he has planned. Do whatever you can to MAKE IT HAPPEN and experience one with him and the group you’ll join. I have no doubt it will change your life.